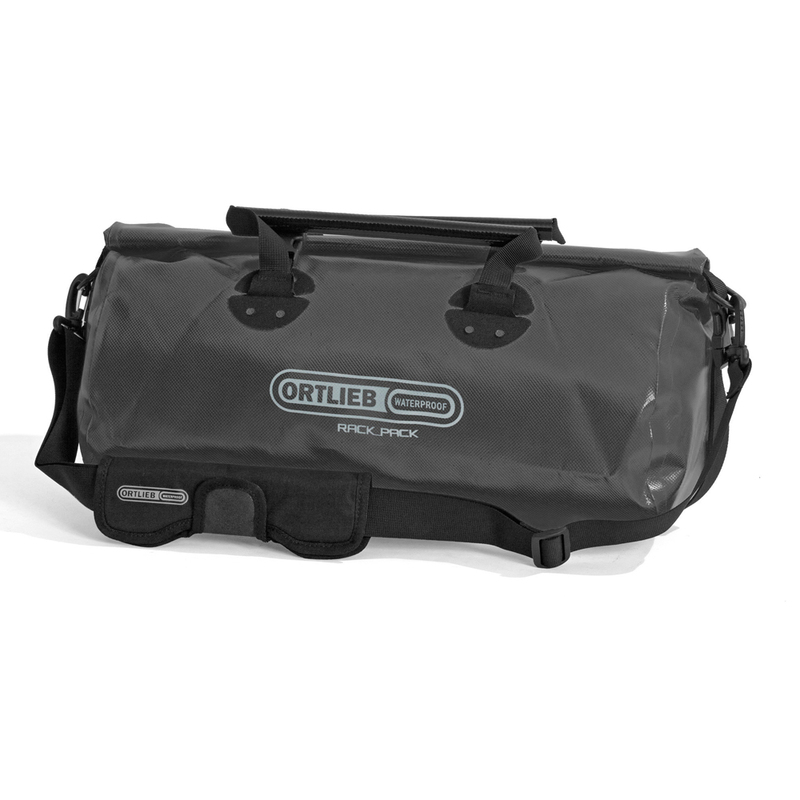 The Ortlieb Rack Pack XL is a universal “hold-all” bag. It has one large main compartment and a lateral roll n’ snap catch that opens wide enough to allow easy access. The Rack Pack XL has plenty of room for all of your gear and is a breeze to carry with it’s comfortable, padded shoulder strap. Not only is this bag great for toting around on your bike, but it’s perfect for keeping stuff dry boating, camping, and traveling. Choose this bag for Ortlieb’s legendary quality and durability. This is an awesome bag and perfect for my BMW F650GS motorcycle. I'm glad I got the XL to hold my tent, air mattress, and sleeping bag, making the fully stuffed bag a nice back rest on the bike. I received the bag through prompt shipping; however, there was a little glitch in the shipping department. Two packages arrived, although I only ordered one bag. Each box had an Ortlieb Rack Pack XL but only one package had paperwork. I contacted Bike Bag Shop and they assured me that only one bag was billed to my card. They thanked me for calling in and sent me a pre-paid return shipping label. I trust that the extra bag made it back to their shipping department. I wouldn't hesitate to order from them again in the future.